Pace women’s lacrosse celebrated its alumni, breast cancer research, and a victory over Saint Michael’s College 10-7 this past Saturday. The win improved the Setters to 5-6, and 3-4 in the NE-10 Conference. The Pace Student Athletic Advisory Committee (SAAC) created the “Pace Goes Pink” campaign to raise money for the Northern Westchester Hospital Breast Institute. SAAC members were found outside of the stadium selling bright pink logo t-shirts for $10 to fundraise and promote awareness. The Pace women’s lacrosse team showed their support by sporting the hot pink apparel during their warm-ups. During the game, Senior Juliana Marcolini proved herself offensively once again and lead the blue and gold with three goals. 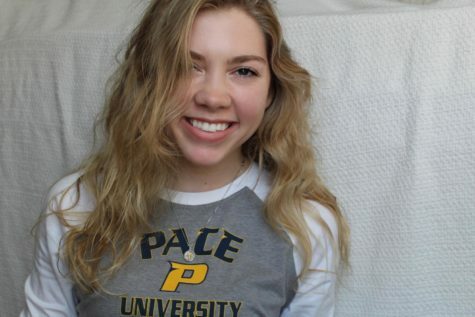 The Warwick native has now scored 12 goals during Pace’s last four games. Sophomores Emma Rafferty and Emma Norton each scored two goals, and freshman Isabella Piccola, junior Mary Kate Lonegan, and graduate student Courtney Sulfaro each rounded out the score with a single goal game. Freshman goalie Sienna Masullo achieved a season record of 12 saves in net. The rookie only allowed seven goals on Saturday, tying her season-best. The Setters could never extend their leads past one during the first 20 minutes, as the Purple Knights responded to every Pace goal with one of their own. It wasn’t until the 6:37 mark when Pace finally completed back-to-back scores when Rafferty followed up Marcolini’s first tally of the game to put Pace up 5-3. 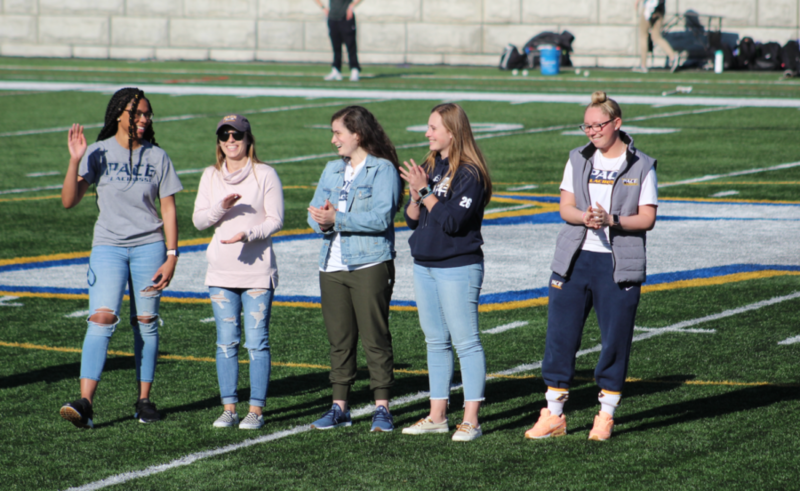 At halftime, Pace Athletics celebrated the historic women’s lacrosse alumni of 2018, represented by Najmah James, DJ Harloff, Amanda Perez, Angela Kelly, and Casey Gelderman. 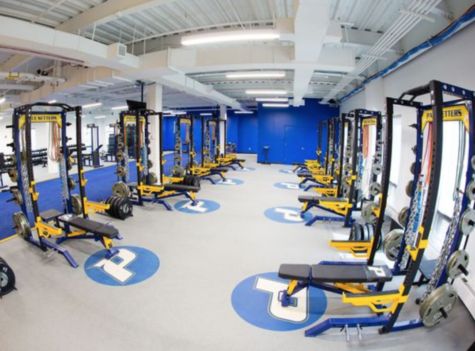 The four athletes were among the first members of the women’s lacrosse program, which began in 2015. Second-year head coach Tricia Molfetta was glad to have them back at Pace Stadium. These alumni led Pace to their highest national ranking ever (No. 10) and finished the year with the programs best ever ranking (No. 14). The Setters’ achieved top marks in both total wins (15) and NE-10 wins (10) in only their fourth season as a program. They also hosted and won their first-ever NE-10 championship playoff game against Bentley. The 2018 squad also won the NE-10 academic excellence award with the highest team GPA in the conference. The second half began for the current Setters with the only two scores in the first 26 minutes. Despite Saint Michael’s scoring three of the game’s final four goals in the closing four minutes, they couldn’t catch up to the blue and gold. The Setters next game is a road challenge on Wednesday evening against 7-4 Stonehill.